Home / Blog / A Touch of Gray………Gray Market That Is…. The gray market is a market in which retailers and online sellers “get” large quantities of a desirable product through unauthorized channels and are able to sell them cheap, in many cases less than the wholesale cost for legitimate dealers! The gray market is a huge worldwide problem and in many ways is bad for consumers too. The downside to being a gray market customer is that in most cases, the products you are buying do not have a valid US manufacturer’s warranty. Here’s one real story from us: A new client of ours who had already purchased equipment elsewhere hired us to do speaker layout/wire infrastructure on their projection room. The first question they asked was if I knew of a private company that repaired AV electronics. They had bought the top of the line Yamaha AV receiver from a discounter online, and as in many gray market purchases, had no idea they were not buying from a dealer. In the first year one of the front channels went dead and when they went to get it repaired there was no warranty coverage in the US, plus no US repair center would touch it or supply parts even if the clients paid them to do the repair. So that’s worst case, and not an uncommon story either. Now they have a $2700.00 broken AV receiver that will not sell on Craigslist to “someone who can fix it” for only $100. And then when you add in the cost of replacing the faulty Yamaha piece with a topline Denon AVR, these clients are definitely not feeling like they got a good deal on the Yamaha. Our company has had several people inquire why they can sometimes find certain products cheaper from online stores in comparison to our already discounted and competitive pricing that we offer on equipment. Some clients have even suggested that we buy from the unauthorized online discounters ourselves so our prices can be even better. Gray market isn’t illegal because of NAFTA, not too many people are aware of it, and understandably, people shop these places for the benefit-a lower initial price. With products intended for sale in other countries that find their way to the US gray market, sometimes the warranty is good only in the country the product was intended for. That means expensive and often cost-prohibitive two way shipping overseas to the right warranty center. Even Costco has been known to sell gray market goods, but at least they have their great in-store return policy that minimizes the risk of warranty issues. That is why they double the warranty on TVs, but at least they have an approach that honors the client. WalMart has been one of the largest gray market retailers in the brick and mortar world and probably can attribute a lot of their success to that. Even vacuum cleaners can be gray market with non-legitimate ones having cheaper internal parts or fewer features even though they look the same with similar model numbers. So, starting Theater Design is what really taught us what the gray market was. It became quickly apparent that there was no way legitimate dealers implementing a high service level business model could ever compete on component prices with web vendors that are not dealers, offer little product knowledge and are selling gear with no warranty! And way back then, we took what we perceived to be the moral high road and never do the gray market thing. We wouldn’t want to have a client buy even a single cable from us that didn’t have a warranty. The video about Monster headphones on this page was interesting and it linked to others comparing sound quality. Crazy stuff. I was made aware of the Monster counterfeits recently when I needed a 50′ MC1000 series HDMI cable to carry 1080p video to a projector. Fifty feet is a very long run for 1080p over HDMI and you need a top quality cable to do it. The cable retailed at $500, we discounted to $349.00 and the client emailed me back that he had found the same cable for $49.00 online, which we knew was too good to be true. That led me to the Monster counterfeit page and his link was one of the blacklisted sites. To combat gray market distribution, some manufacturers have a zero internet sales policy and their products are only available through custom installer companies. One of the documents we have to sign in most dealer apps is a guarantee that we will not sell product to other retailers, enabling gray market sales. That’s another way products get to the gray market retailers called “sideways distribution.” Someone like our company will sign up as a dealer, just make $50 bucks/unit because the sales volume is high, and in turn sell them to an internet store that makes $50 bucks or so when they sell. And the end customer ends up with a component with no warranty. In that scenario, the only way the manufacturers can control it is to buy their own piece from the online retailer, track it through distribution with the serial # and then shut down the small dealer doing the “sideways distribution” and the website can’t get the product anymore. So they either restart a new web biz, or mark the product as unavailable but still leave it on the site as it may attract searchers who will buy a similar product that they can actually get to ship. Here is another example from real world experience at Theater Design- One of the extreme quality brands that we are authorized dealers for is Pioneer Elite and they have a zero internet sales policy to insure a quality ownership experience for their customers. Pioneer Elite insists on knowing that the dealers representing their company and products are competent AV integrators that fully understand their product’s capabilities and are capable of getting every ounce of high performance delivered to the Pioneer Elite customer in their home as it should be. Anytime I specify a Pioneer Elite component for a project you could type the model number in to Google and immediately see 5 of them for sale from vendors you never heard of at prices that are below our dealer cost. But we know this first hand as dealers-anyplace they are sold online is not authorized from Pioneer to sell them and there is no warranty. If you see current Pioneer Elite components for sale online they are gray market products, because Pioneer does not allow online sales. They want you to buy from dealers like us so you are getting top quality, responsive service from someone who is personally invested in their fine product lines. So there you go with more info than you ever wanted to know about the gray market. It makes doing legit business pretty challenging for service oriented companies like ours who need the profit on gear to justify the research time of staying technologically relevant and the time spent getting approved to carry quality product lines. 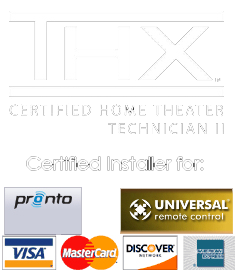 That being said, we do understand people wanting to get the best bang for the buck when they are doing expensive projects like nice home theaters, and if one doesn’t get stung with warranty/ reliability stuff…..then you did save a few dollars.